My husband, David is profoundly deaf like me. He wears a cochlear implant (CI) now, and loves it. He has gone from being almost totally deaf, struggling to hear the loudest sounds with his hearing aids to being able to hear the grass crackling under his feet as he walks in the woods round where we live. He can’t hear “words” though, he still has to lipread to be able to follow what you are saying. The CI gives a new insight to his hobby, he likes to go out tracking for his “Puma”. He has heard it. This video was taken before David got his CI. The rest of the blog is about Oscar, and the joy he has brought to our lives. We have a Hearing dog, called Oscar. 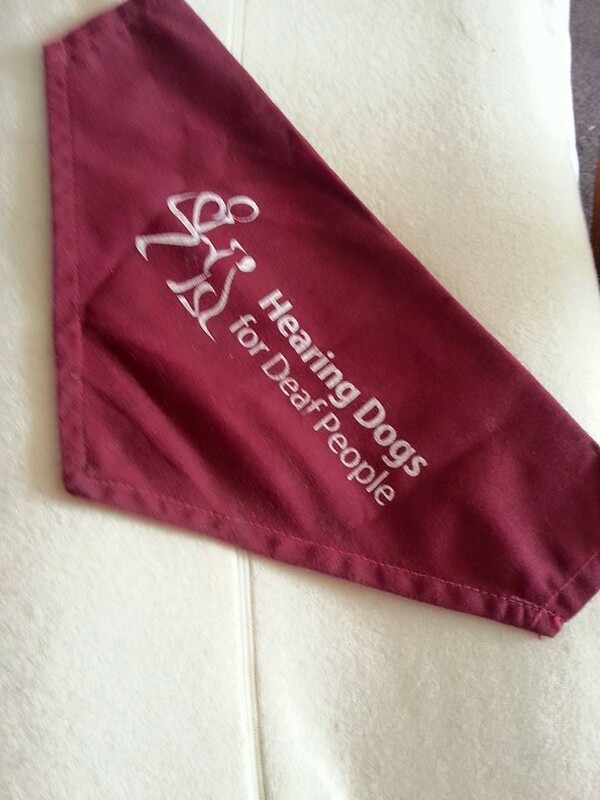 Hearing dogs are fantastic for deaf people. Oscar works for both of us. Oscar alerts us to the doorbell, the smoke alarm, the telephone ringing (which we ignore, neither of us can hear on it) and he will come and get one or the other of us when asked, leading the person to us. He also wakes us up in the morning with his alarm clock, and works to the sound of a cooker timer, if we want to be alerted at a particular time. 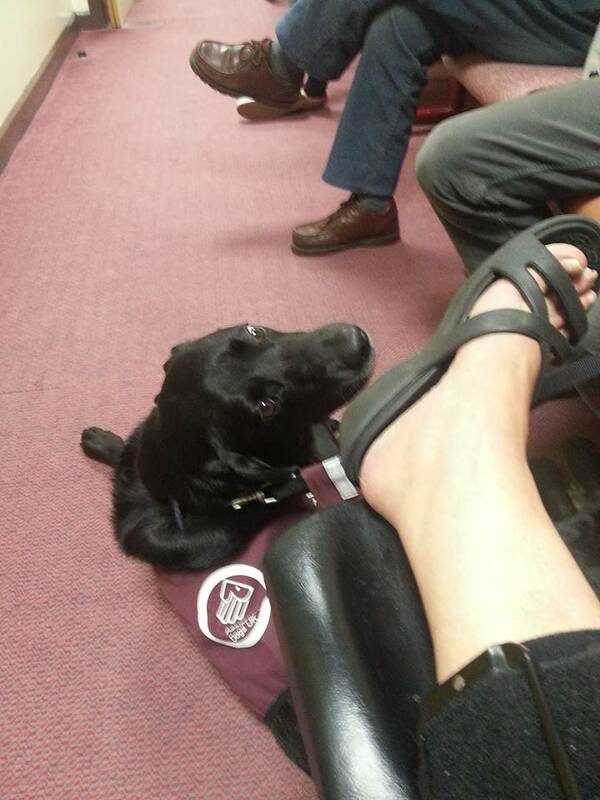 Remember, though, if you see a hearing dog, in uniform, they are working. Please do not just think that because there’s a dog in a place where dogs are “not allowed” you have permission to just come up to them and pet them. You will be distracting them from listening to sounds they have been trained to listen to. Always ask first, and when you ask, remember the owner will be deaf, so please, make eye contact, don’t shout, use clear speech and remember the owner will be needing to see your lips to lipread. You’ll see them with a lead like this, some of them are burgundy not bright green, but all have the same words on them. If you ever want to confirm someone really has a hearing dog, or any assistance dog, you can ask them to show their “passport”. 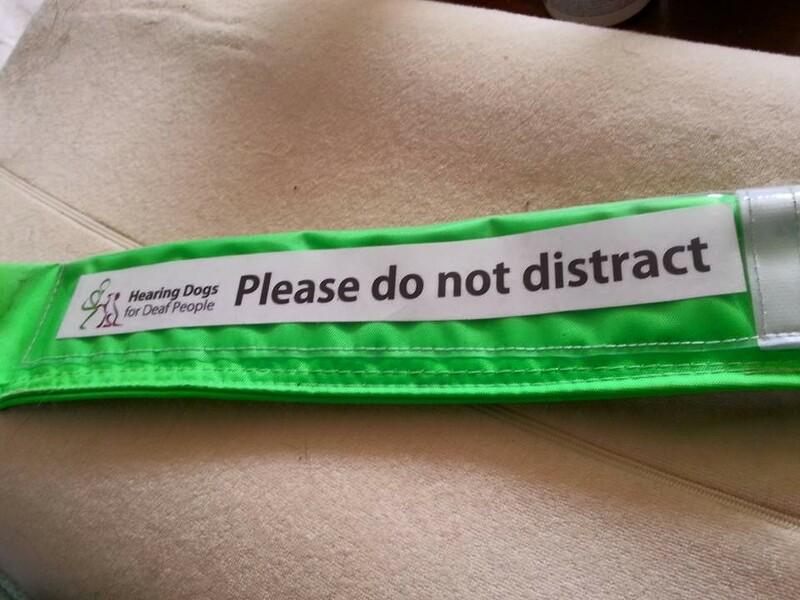 Every hearing dog owner will have one. 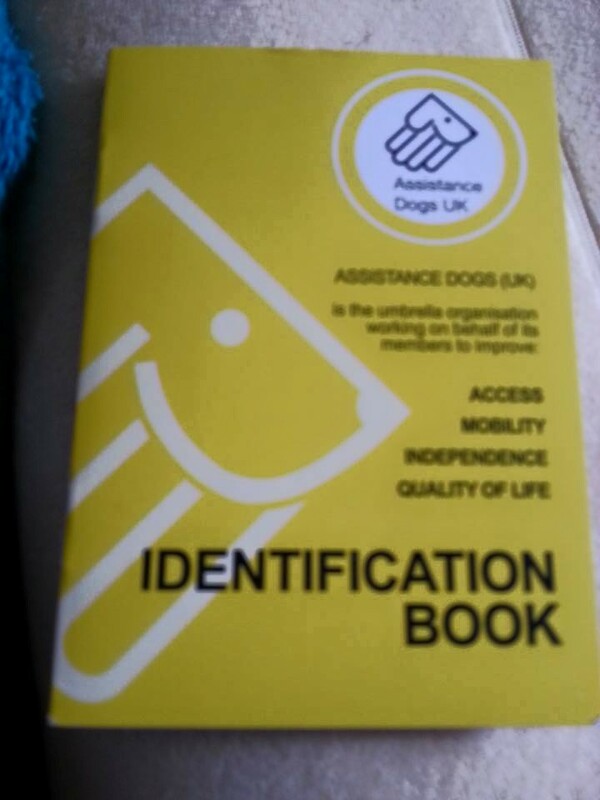 The passport also shows the rights of assistance dogs and their owners. 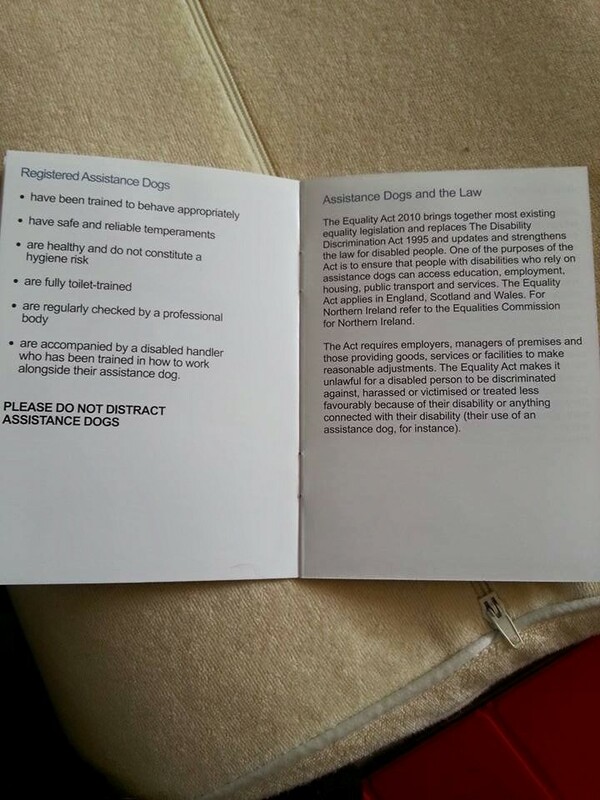 Refusing access to an assistance dog means you are refusing access to their owner too, and breaking the law. When he’s not working, though, Oscar has a wonderful time, walking with David, helping him “hear” the direction in which sounds are coming from by a simple “look” on his face with ears pricked up. One hearing aid, or one CI doesn’t give you the “surround sound” you are used to. you can’t place where sound is coming from. Oscar is a lab, he loves water too. So while David is busy looking for tracks and taking pictures of possible “puma prints” Oscar is busy trying to find water to play in. We have a “doggie” cam for Oscar, and here is one short video of the pair of them out in the woods, You can say, Oscar really is part of our family, and our “ears” ! 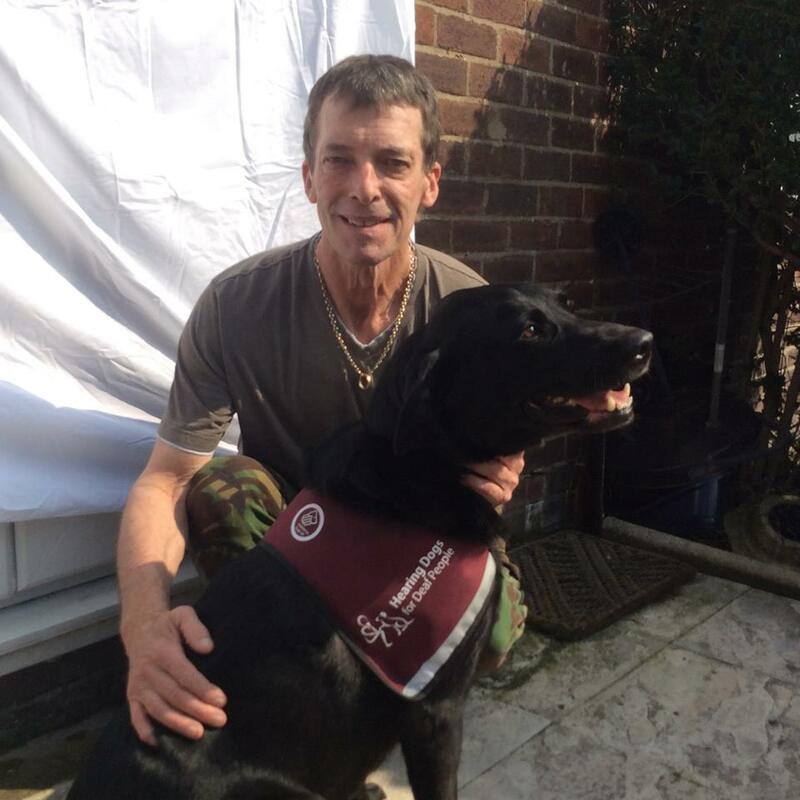 Hearing Dogs really make a difference to deaf people’s lives, Thank you to everyone who has at some point donated to hearing dogs, you have opened our world too. …. and if you ask, no, we haven’t yet seen the Preston puma with our own eyes, one day!